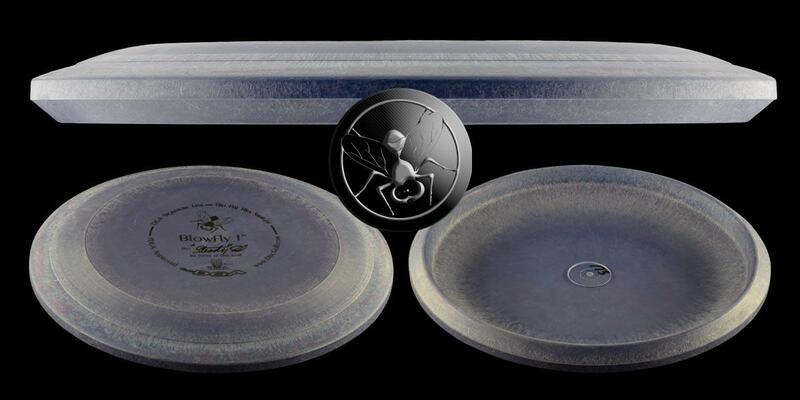 The Blowfly I has a blunt edge and is both an excellent putt and approach disc. 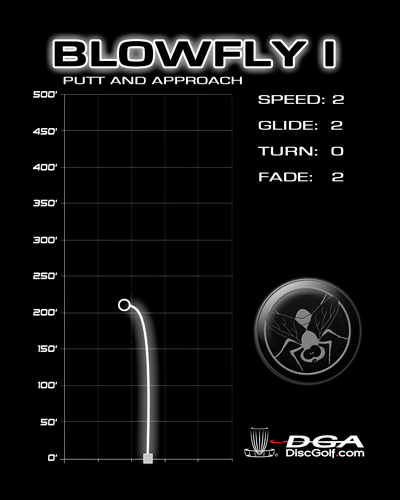 The Blowfly I is a great putter and will wrap its way around any set of chains. But, unlike all other putters out there, the Blowfly I will stick when it hits the ground if you just so happen to miss. The Signature Line plastic is extremely flexible and durable. The Blowfly I is ideal for both beginner and experienced players! 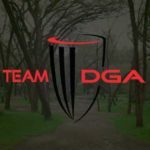 Being new to disc golf, I decided to try a disc that was more flexible than a normal putter. I will say that I do really like this disc. 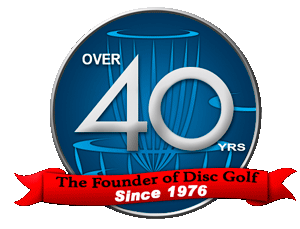 I play on some courses that are very hilly and it's a great disc. This disc doesn't move once it hits the ground. Putting with it is very nice. I really like the disc. 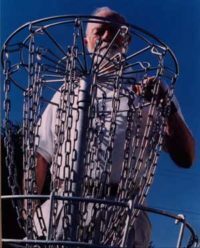 Great for approaching a basket on a hill, as this disc and it's sibling, the Blowfly, will hit the ground and stop. This is exactly what I got it for, and it's pretty much all I use it for. I use this one for driving, the Blowfly for approaching/putting. Sometimes course designers like to put baskets on the side of hills, and I'm sure everyone has had those putts that hit the side of the basket and rolled 30 feet back down the hill. Nothing more frustrating, right? That's where the DGA Blowfly II comes in. It is definitely the most flexible disc I have ever held. It can even be rolled up like a newspaper. This disc will stop on a dime when it hits the ground. Even on a sky hyzer the disc will hit the ground and stick. 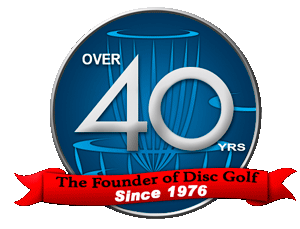 I wouldn't recommend it for an everyday putter, but this disc does fill a niche.